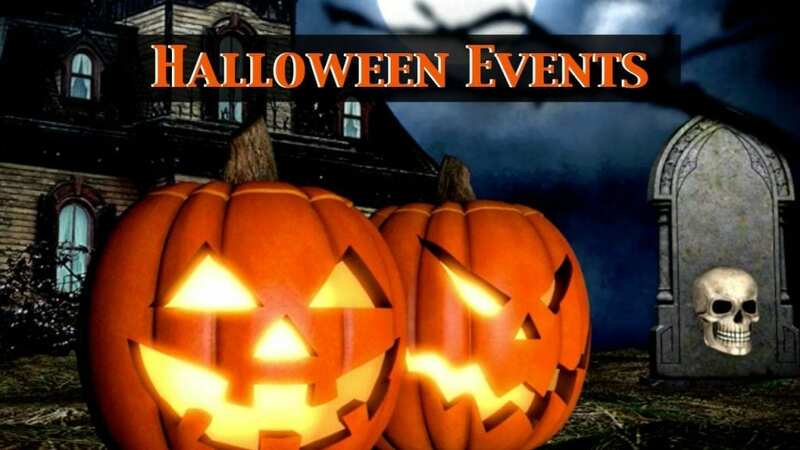 Check out all of the Halloween activities going on around the area this weekend. If you are still looking for something to do this weekend for Halloween, there are plenty of events where you can get your spook on. Halloween Carnival, Memorial Park (5:00-8:00 p.m.) – A haunted trick-or-treat tour the the Bear Hollow Zoo. It will also feature games, scary stories, and a costume contest. Poe-tober Poetry, Georgia Museum of Art (5:30-7:30 p.m.) – A scary scavenger hunt in the permanent collection and gallery games, featuring readings of Edgar Allen Poe works. Return of the Son of Listening in the Dark, ACC Library (7:00 p.m.) – Creepy librarians tell spooky adult Halloween tales. Athens History and Hauntings Tour, Athens Welcome Center (5:30-7:30 p.m.) – A haunted history tour through downtown sites and landmarks, presented by the UGA Special Collections Library and Classic City Tours. 2 Spookie 4 U, Nowhere Bar (11:00 p.m.) – DJ whom? and Retrograde host a Halloween dance party. Halloween Costume Party, Southern Brewing Company (4:30-9:00 p.m.) – Dress up and dance the night away, prize awarded for best costume. Ghost Walk, Madison, Georgia (8:00 p.m.) – Beginning at Madison Methodist Church parking lot, walk through Madison’s historic streets and hear tales of terror. Harry Potter Haunted House, Oconee County Library (6:00-8:00 p.m.) – The theme of this year’s haunted house at the library is the world of Harry Potter. Wild Rumpus Monster Mash, The Foundry (12:00-3:00 p.m.) – Halloween crafts, live music, a haunted house, and other performances before the Wild Rumpus Parade. Halloween at Gargoyle Manson, Athens Little Playhouse (7:00 p.m.) – Actors get help from the audience to tell the story of a gargoyle family. Wild Rumpus Parade, Corner of Hull and Hancock Streets (8:30 p.m.) – March through downtown Athens in your Halloween costume. A pre-party will be held at Livewire (6:00 p.m.) and an after-party will be at the Georgia Theater. Halloween at A New Hope, A New Hope Sanctuary, Winterville (3:00-8:00 p.m.) – Spooky crafts, tours of the sanctuary, and other family-friendly activities. Pawsatively Spooky Howl-a-ween, The Rook & Pawn (4:30 p.m.) – A puppy kissing booth, funky hair salon, photo booth, and other activities before the Wild Rumpus Parade. Benefits the Athens Area Humane Society. Jack-O-Lantern Jog 5k/1-mile Goblin Fun Run, Sandy Creek Nature (1:40 p.m.) – Walk, run, or jog the greenway to benefit the Sandy Creek Nature Center. Halloween at Gargoyle Manson, Athens Little Playhouse (3:00 p.m.) – Actors get help from the audience to tell the story of a gargoyle family. Barrow County Sheriff’s Office also wants Barrow residents to know that Halloween-related activities like trick-or-treating will be officially observed throughout the county on Monday, October 31.